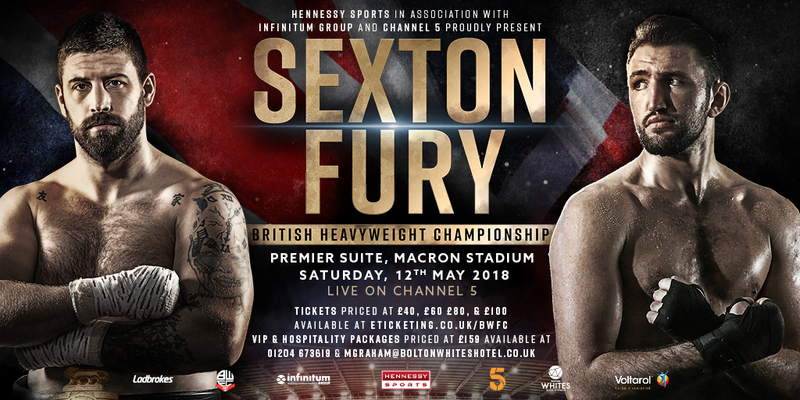 Hughie Fury is hungrier than ever to become a World Champion and he starts on the road back against British Champion Sam Sexton on Saturday 12th May at the Macron Stadium, Premier Suite, in Bolton, exclusively live on Channel 5. 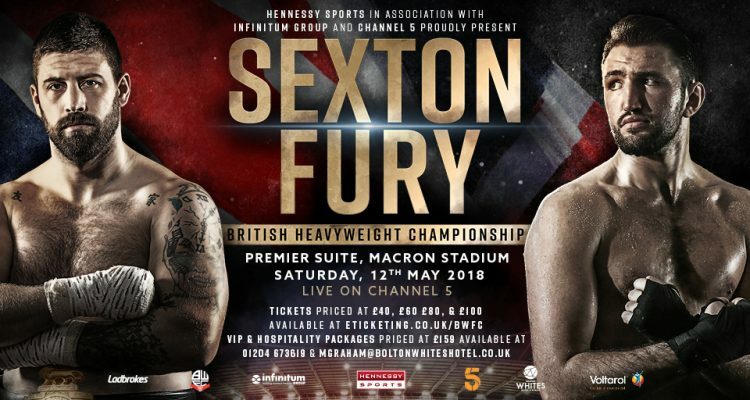 Although Fury was painfully denied the decision by the ringside judges’ in his first world title attempt against WBO World Champion Joseph Parker last September, the Manchester warrior has put the defeat behind him and now focuses on taking the British crown from Sexton. “What doesn’t kill you, makes you stronger,” Said Fury. “Now it is moving forward and improving on what I’ve done. The 23-year-old has been avoided by his so called British rivals who have turned down challenges to face Fury in his ring return, but he respects Norwich puncher Sexton for stepping up to the plate. “It’s like taking two steps back to take three steps forward,” said Fury. “I want to get the British title behind me and get back to the top. “Sam Sexton is just a stepping stone. It’s one step at a time, get him out of the way and move forward. “The British title is nice to have but I’ve not become a professional boxer to be a British level fighter.